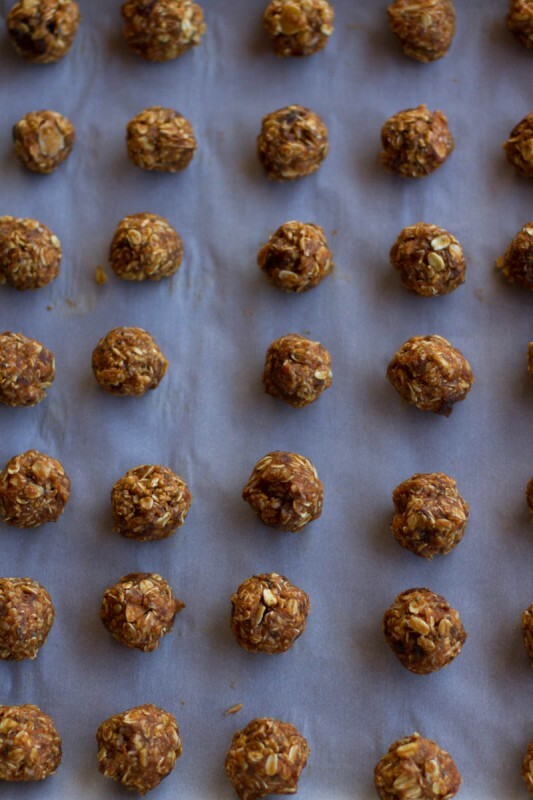 Energy balls are one staple snack food I have in my fridge almost all of the time. 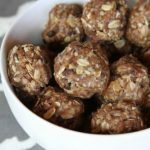 I shared a recipe for our favorite energy balls within another post a couple years ago, but as I am cleaning up my archives, I wanted to give the recipe it’s very own post. Energy balls are perfect for breakfast, a snack, on-the-go, or late night…Kids love them, and they are packed with great ingredients. They take a little time, but the end product is so worth it. The awesome thing about this kind of treat is that there are endless variations…I suggest you experiment, and find what your family likes best. The good news is: I think they satisfy every diet I know of: Clean, Gluten free, Organic, Paleo, dairy free, and totally Raw! If that doesn’t fit your diet then I don’t know what to say. 1 cup crushed walnuts or your choice of nut. 1/2 cup organic mini dark chocolate chips or chips of your choice. Pour the gooey mixture over the oats mixture and blend well. At this point you may find the consistency too dry or wet...Add more of any ingredients that you like. Using your hands, roll into bite-sized balls, packing them in as tight as you can. Place finished balls into the refrigerator to firm up, and store in an airtight container. As always, I’d love it if you would pin, and share so your friends can get in on the conversation and the recipe! I’ve made these several times and my family loves them! Thank you for sharing….! My 7-year old son was diagnosed with diabetes and now I’m wondering if you have the nutritional info (at least just the carb count) for these?? These are so delicious! My only sub was 2 TBSP cacao powider in place of mini chocolate chips. And they are quite filling too. Thank you, I refer to your recipes often, keep ’em coming! This looks yummy. I have a question though about flax seed: i read on the Mayo Clinic site that flaxseed has a plant hormone called lignan that is similar to estrogen and may alter estrogen levels in the body. So I’ve avoided it. Have you come across this side effect? My little has a peanut allergy and these (or, at least the similar recipe I use) work great with Sunbutter or almond butter. Love this! I completely agree. I use paleo recipes, Grandma’s recipes and even just plain old steak & potatoes on occasion. I still love my sweets (dark chocolate truffle cake, yes please!) and a few cheese slices with gluten free crackers to join a glass of wine. I have found when I deny things, I want them more. So I do the same…moderation. My husband has celiac so we eat a lot to gluten free dinners (some other meals I eat gluten). But I am label reader and definitely try to eat clean….even if that means baking muffins for the kids with whole wheat flour (unmodified and not enriched), organic cane sugar and organic eggs. The only thing I do add to this regimen are three simple practices I’ve implemented this year that have made a huge difference. I now water fast twice a year. I LOVE how I feel afterwards. I use organic lemons in the water and celtic sea salt to replace trace minerals while I do it. And smooth move tea to keep the detox process moving along. Its a hard fast, but totally worth it. If you google ‘health benefits of water fasting” you’ll be amazed at what you find. The other two things are simple…Posture. Stand straight. I am amazed at how much I slouch. Trying much harder to stand tall now. Last…chewing. We eat so quickly (sometimes feel like I’m inhaling my food). So I have tried to eat ‘mindfully.’ There are great health benefits in this too. We should be chewing each bite to ‘applesauce’ consistency. Which typically takes 15-20 chews per bite. 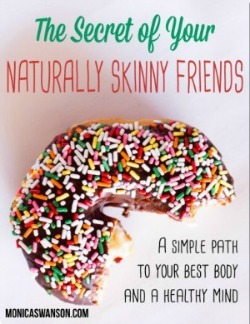 Its more work….but its amazing how it changes your eating habits. You really taste the food…and you realize when you’re full so you don’t overeat! Hope you find some of this helpful! 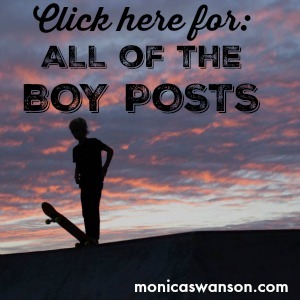 Love you blog and your lifestyle/parenting. You are a wise woman who inspires many in sharing your journey! Thank you! Your eating “plan” sounds super sensible… love the part about someone catching you chomping on a burger and fries… ha ha, too true. 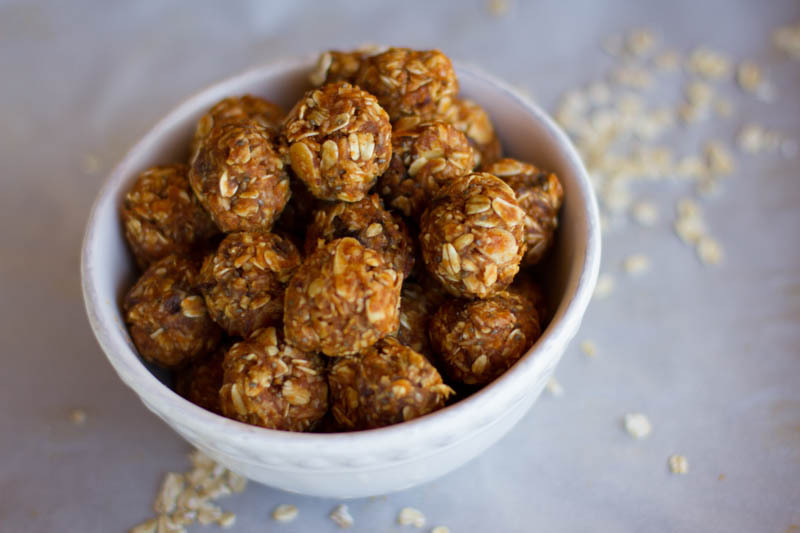 Your energy balls recipe looks fab… I’ve made many that are similar, and they’re so yummy. Our printer wasnt working, so I hand wrote this recipe, and just made it–wow!! They’re too good! Wish you had said they were low in calories, then I’d just sit down and eat them all! Thanks for the yummy recipe! I think most of that is in my pantry and might have to try them (here on the Eastcoast) for breakfast this morning. I, too, find that my family and my daily diet is hard to label. We enjoy a mostly vegetarian diet, with occasional meat options such as chicken, ground turkey and fish. To save money, steaks and such are saved for weddings and special nights out. We have almost completely eliminated processed foods from our home and try to either grow all of your own produce and eggs or buy local and organic. When asked what type of diet we eat I am likely to say, ‘as close to the ground as possible,” this usually receives a chuckle and moves the conversation along. I LOVE your food philosophy. I admit to trying various diets here and there, but what you say actually makes so much sense, I feel like you spoke what I’ve been thinking. 🙂 Thank you!! LOVE this post!!! 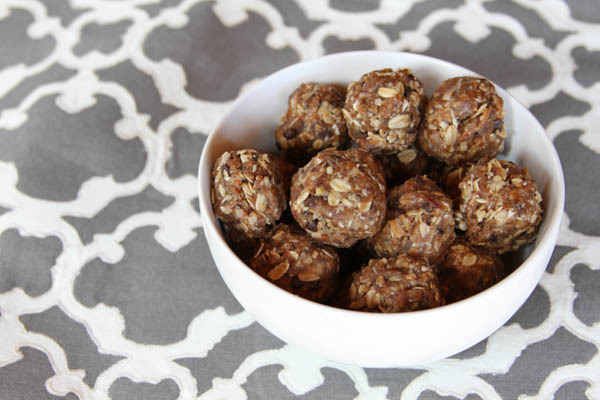 And thanks for the energy ball recipe–I make a variation of these and can’t wait to try your variation! I also avoid diets and opt for lifestyle changes. 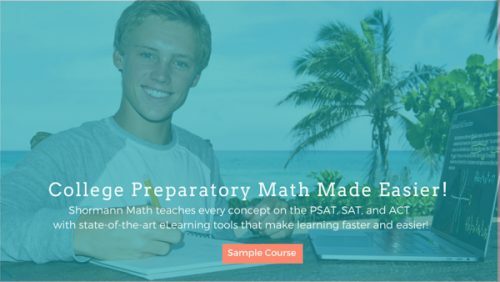 Here in Princeton, there’s an awesome phenomenon called The Suppers Programs, and the website is http://www.thesuppersprograms.org . Basically, it’s one big umbrella support group for people who want to eat in a way that is more healthy. The idea is that one can become more healthy overall by eating healthy, whole foods. There are many sub-groups and I belong to one that is for Moms who want to cook healthy food for their families. We meet twice a month and prepare meals together, share recipes, and support each other as we strive to improve our family’s health by preparing healthy food. It’s awesome! I love it! I’ve learned so much, made great friends and have learned to cook some great foods!